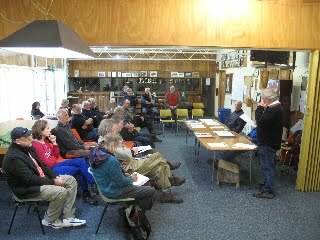 At their meeting on Sunday the members of the Franklin Working Waterfront Association voted to concentrate their efforts on purchasing the Wooden Boat Centre, rather than the Evaporator Sheds. They have already had discussions with the current owner of the Centre, Andy Gamlin, and are considering various schemes to raise the capital. The Living Boat Trust wishes them well and looks forward to working with them.